Oil on panel, 60 x 47,5 cm. 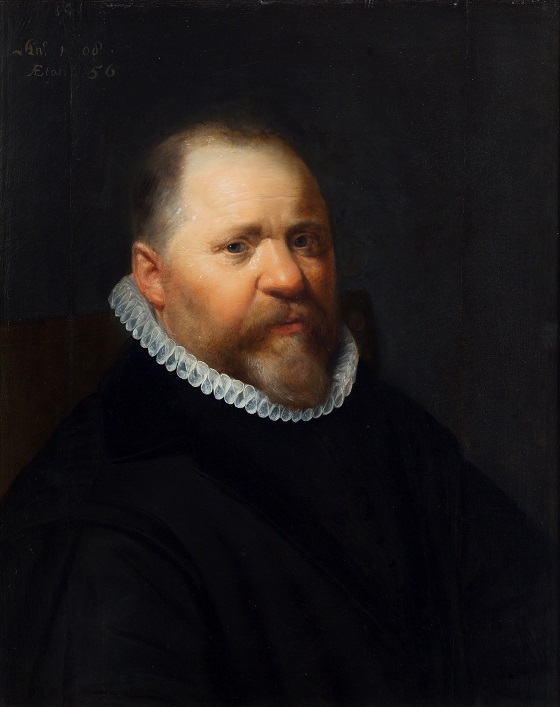 Jan Anthonisz van Ravesteyn specialised in painting portraits, and most of his oeuvre consists of portraits commissioned at the court in The Hague from some of the country’s most prominent figures, including Frederick Henry, Prince of Orange. The artist painted portraits in the conservative style that was particularly prevalent among portrait painters from the Southern Netherlands. The style is characterised by objective observation, solid modelling and precise lines, giving the subject a restrained and unsentimental look. This portrait of a man from 1608, with its simple and disciplined composition, is a typical example of this style.